Does anyone even remember all the way back to 2017 when a Democrat fired 70 rounds at GOP Congressman who were practicing softball? 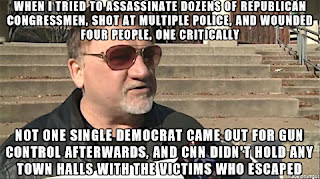 - Yeah, the mass shooting where Rep Steve Scalise (R) nearly died and four others (also R) were wounded? 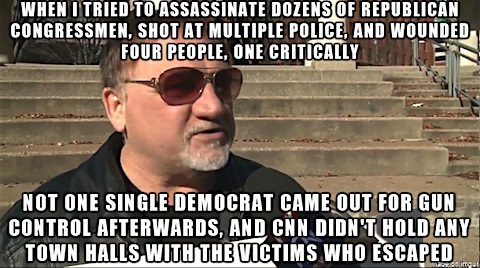 - Where were the Democrats and the MSM on that one? No calls for "gun control" but more than a few snickers and jokes from them. It's worth giving some thought to while being abused by "progressives" endlessly pursuing their goal of gutting the Second Amendment.